Often you'll want to be able to use a taxonomy to organize content. 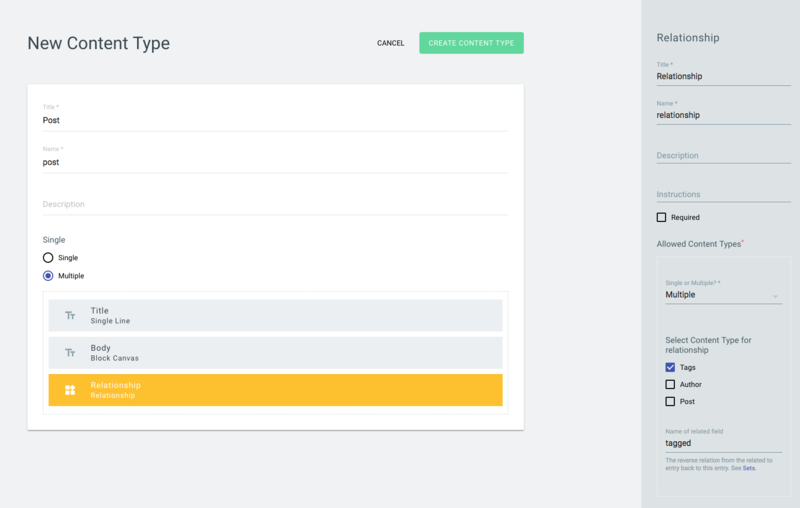 You might call the organizational groupings categories, tags, topics or something similar. For this example we'll use the tag nomenclature. Taxonomies in TakeShape are just another type of content. 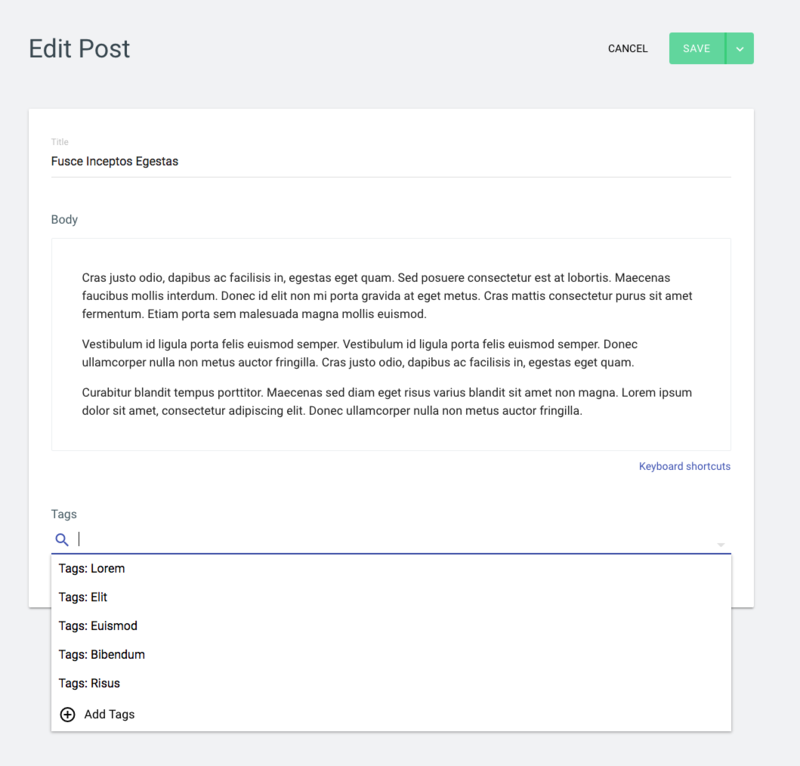 Create a Tag content type. 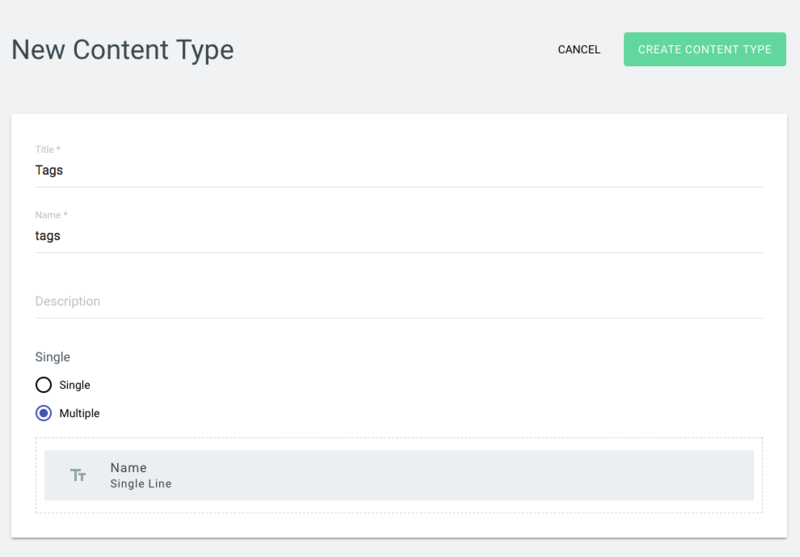 Create a relationship between content being tagged and the tag type just created. "title": "Porta Ligula Justo Purus"